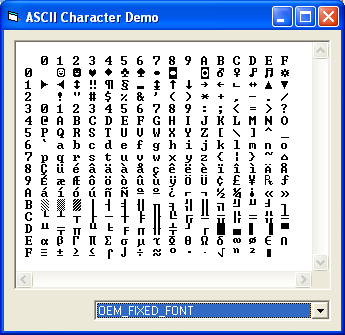 ' Select the stock font into the client window.
' Not necesary to call DeleteObject. Applying this to any control that exposes an hWnd property is as simple as passing that value to the above routine. I've marked this project as "VBA-Ready", and technically it is. The only problem with using it in VBA is that most of the controls are windowless, and even those that aren't don't tend to expose the requisite hWnd property. Still, if you can obtain an hWnd, you can select a stock font into it. Streams - Enumerate, delete, or otherwise manipulate Alternate Data Streams in any NTFS file.